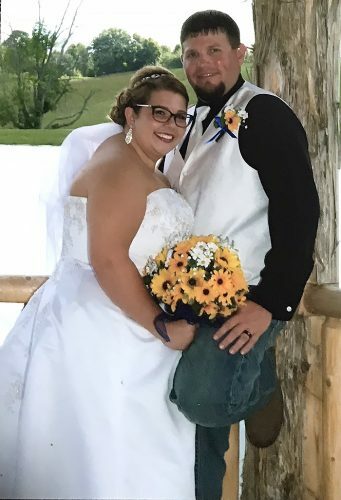 WEIRTON – Alexis Danielle Dankovchik and Nicholas Russell Laibach were united in marriage on Oct. 10 during a 1:30 p.m. ceremony at St. Joseph the Worker Church in Weirton. The Rev. Manuel Gelido officiated the ceremony. 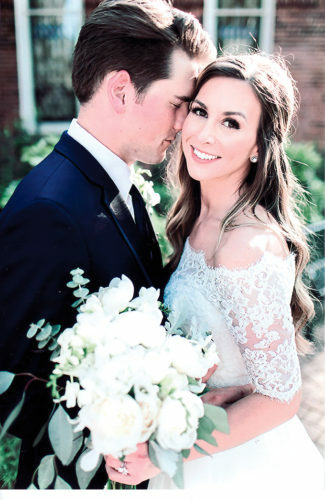 The bride is the daughter of Laurie Dankovchik and Dan Dankovchik. The groom is the son of Russell and Leslie Laibach, all of Weirton. The bride was escorted to the altar by her father. 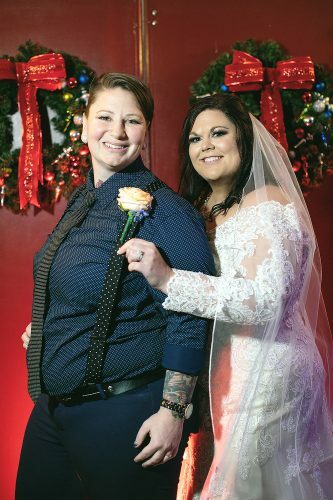 Shelby Jeffers, cousin of the bride, of Palestine, W.Va., and Ashleigh Gurskey of Weirton served as matrons of honor. Bridesmaids were Julie DeStefano of Weirton, Chelcee Casey of Weirton, Heather Zapor of Knoxville, Tenn., Chelsea Heilman of Morgantown, W.Va., and Brandy Magee of Selbyville, Del. Jeremy Aynes, brother of the groom, of Weirton and Aaron Gurskey of Weirton served as best men. Groomsmen were Lucas Dankovchik, brother of the bride, of Weirton; Brandon Shughart of Weirton; Jared Heilman of Morgantown, W.Va.; Chad Graham, cousin of the groom, of Weirton; and Joe Evans of McKees Rocks, Pa.
Alivia Jeffers, cousin and goddaughter of the bride, of Palestine, W. Va., and Olivia Shetler, cousin of the bride, of Weirton, served as flower girls. Maddox Basil of Weirton served as ring bearer. A reception was held at St. Florian Hall in Wintersville. 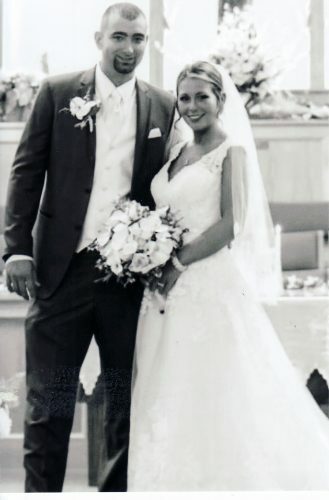 The couple honeymooned at the Riu Antillas resort in Aruba. 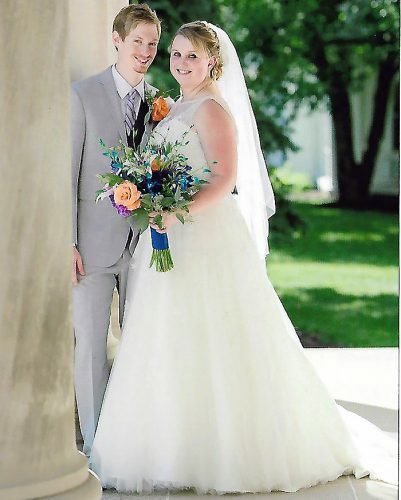 The bride is a 2007 graduate of Weir High School and 2011 graduate of Wheeling Jesuit University with a bachelor of science degree in nursing. She is employed as a pediatric nurse at Weirton Medical Center. The groom is a 2006 graduate of Weir High School and 2009 graduate of Pittsburgh Technical Institute with an associate degree in computerized drafting. He is employed at Ytech Inc. in Donora, Pa. The couple reside in Weirton.